Whether you’re coming from Logansport, IN or driving from Lafayette, IN, Hendrickson Chrysler Dodge Jeep Ram has an incredible selection of new cars and used vehicles. As a leading Jeep dealership in Monticello, IN, we proudly carry one of the largest volumes of Jeep SUVs in the area and have a huge selection of Jeep Cherokee and Jeep Renegade models to choose from. Be sure to browse our selection of Chrysler, Dodge, and Ram models, too, including the well-known Chrysler 200, the family-sized Dodge Durango, and the rugged Ram 1500. If you’ve found the perfect vehicle on our site but you’re worried that credit issues might keep you from getting into the car you want, let us put your mind at ease. 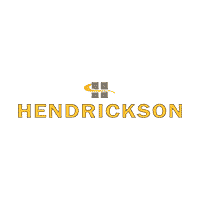 At the Hendrickson Chrysler Dodge Jeep Ram auto finance center in Monticello, IN, our friendly team of finance professionals are experts at helping you find the right auto loan or leasing terms for your budget and credit situation. Contact us today, or if you’d like to get started immediately, simply fill out our secure automotive finance application now.